VANCOUVER – The Canadian government would need to spend billions of dollars if federal incentives were used to reach an internationally favoured target for plug-in electric vehicles (PEVs) to make up 30 per cent of sales by 2030, a new study has concluded. A national incentive-based strategy could eventually cost between $15 billion and $48 billion ($10 billion-$28 billion in today’s dollars) or $9,000-$10,000 per added PEV sale if rebates continued until 2030, according to the study. The paper, to be published in the journal Transportation Research Part D, found current policies would expand PEV sales to 5-11 per cent of the new-vehicle market by 2030 unless buyer incentives, a mandated EV sales quota for automakers or a combination of both were implemented. In 2017, national PEV sales stood at less than 1.5 per cent of total new car and light truck sales, concentrated mainly in Ontario, Quebec and British Columbia where rebates were offered. Ontario’s new Progressive Conservative government has since canned its incentive program. Quebec’s new CAQ government is reviewing all the outgoing Liberal government’s policies, which includes a zero-emissions quota. 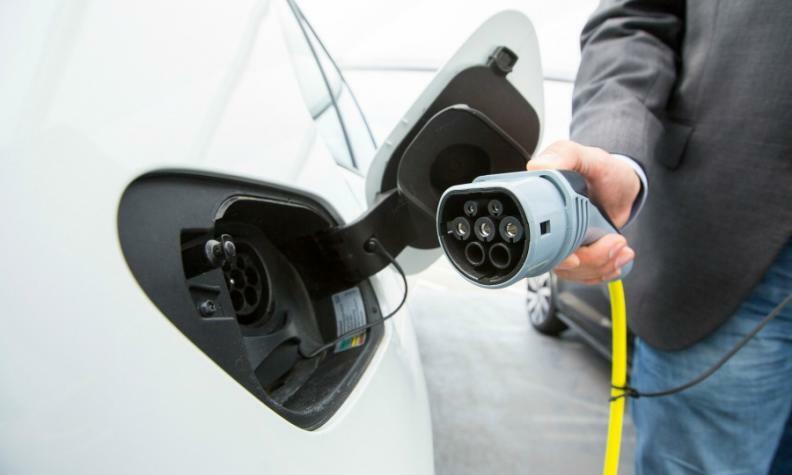 The study is timely as federal and provincial governments continue consultations for the promised rollout this year of a zero emission vehicle (ZEV) strategy. The question of incentives and a sales mandate were discussed by a stakeholder committee advising policymakers last year. The paper modelled various scenarios and concluded a sales mandate would sharply reduce the financial outlay for governments. A national subsidy could be offered in the first two years, giving time for automakers to increase model availability and choice, as well as cross-subsidizing PEVs by raising the price of conventional vehicles. “This study provides one effort to model a ZEV mandate in Canada, and we find promise for such a policy in pushing PEV sales in the long run,” the researchers concluded, adding more research is needed to better understand potential impacts. The paper was authored by Jonn Axsen, head of Simon Fraser University’s Sustainable Transportation Action Research Team and Michael Wolinetz, a consultant with Navius Research. It was funded by Équiterre, which promotes transition to low-carbon energy sources. The auto industry opposes ZEV mandates, already in place in several U.S. states and Quebec. It argues setting quotas for EV sales, with penalties for not reaching them, forces companies to market vehicles for which there is little demand. Advocates contend jurisdictions with ZEV mandates see sales rise (though they also provide incentives), even if they don’t meet their targets. The target of 30 per cent PEV sales by 2030 is not official Canadian policy but an “aspirational goal” set by the Clean Energy Ministerial, an offshoot of the International Energy Agency. Canada and China are the two lead members of the ministerial. The Pan-Canadian Framework on Clean Growth and Climate Change, which would incorporate any ZEV strategy, sets a goal of reducing greenhouse gas emissions 30 per cent below 2005 levels by 2030.